Vaginal Speculum Graves is made of Stainless Steel and is reuseable. Grave vaginal speculum consists of two blades which are used to keep the vaginal cavity open so that it can be examined and inspected by the gynecologist. When the grave vaginal speculum is inserted into the vaginal cavity, the blades are closed and to examine and diagnose the cervix the blades are opened with the help of the screw. 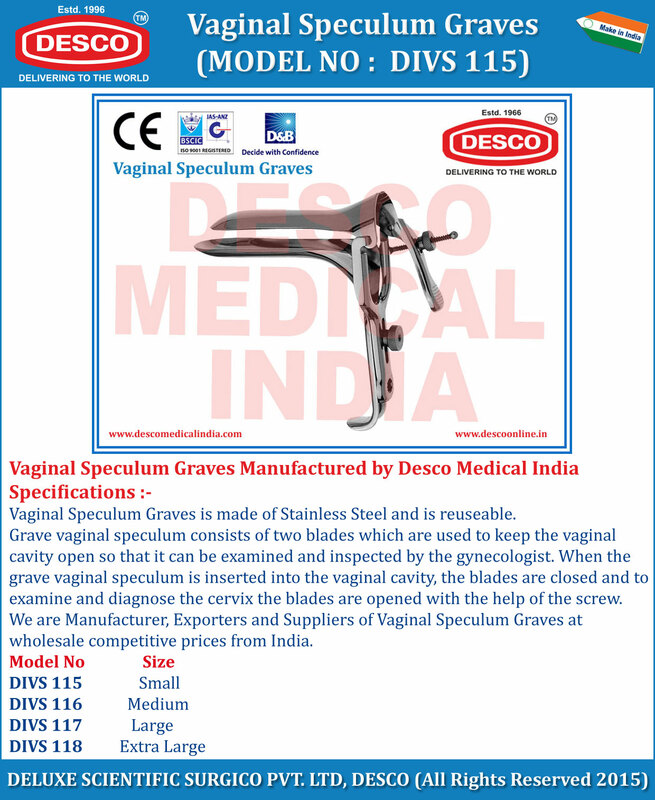 We are Manufacturer, Exporters and Suppliers of Vaginal Speculum Graves at wholesale competitive prices from India.